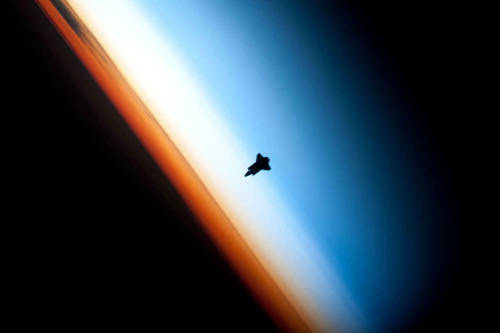 The space shuttle Endeavour silhouetted against the atmosphere. This entry was posted in Interweb and tagged Endeavour, outerspace, space shuttle. Bookmark the permalink.